Help! Looking for granular apatite. Science and stakeholder dialogue meeting on safety and sustainability questions around use of sewage biosolids on farmland. UK water industry operators (Severn Trent and Thames Water) are looking for a supplier of, in total, 15 - 20 000 ton/year of granular apatite (phosphate rock), particle size 2 – 10 mm depending on system design (a larger size could be reprocessed by crushing, fine apatite would need to be supplied granulated). The material will be used as substrate in reed bed or filter systems for tertiary phosphorus removal in small sewage works that are becoming subject to stringent phosphorus discharge limits in coming years. Around 200 UK sewage treatment works have been identified as needing this type of solution to meet the tighter phosphorus consents in the next 7 years. The average media requirement is around 500 m3 per site, with media replacement every 10 years. Previous trials carried out by Thames Water have proven the suitability of granular apatite for phosphorus removal in the UK. The selection of the apatite material and binder used to granulate apatite is critical in ensuring a good effluent quality (it needs to have high apatite purity (>90%), low metal and uranium content and not raise effluent pH). Companies interested in supplying non-pH-modifying granular apatite in such quantities, or to provide granulation – distribution services, are invited to contact as below. The 3rd European Nutrient Event (ENE3), 8 - 9 November 2018, Rimini, was jointly organised by the European Sustainable Phosphorus Platform (ESPP) and EU Horizon2020 funded SMART-Plant project. The presentations, final programme, list of key speakers of the event can be downloaded here. The event was focussed on the theme “towards the circular economy of phosphorous (P) and other nutrients”, in Italy, the Mediterranean region and the EU, including research, development and innovation. Day 1 focussed on phosphorus and nutrient recycling in Italy and the Mediterranean region and the start up of the Italian Phosphorus Platform. 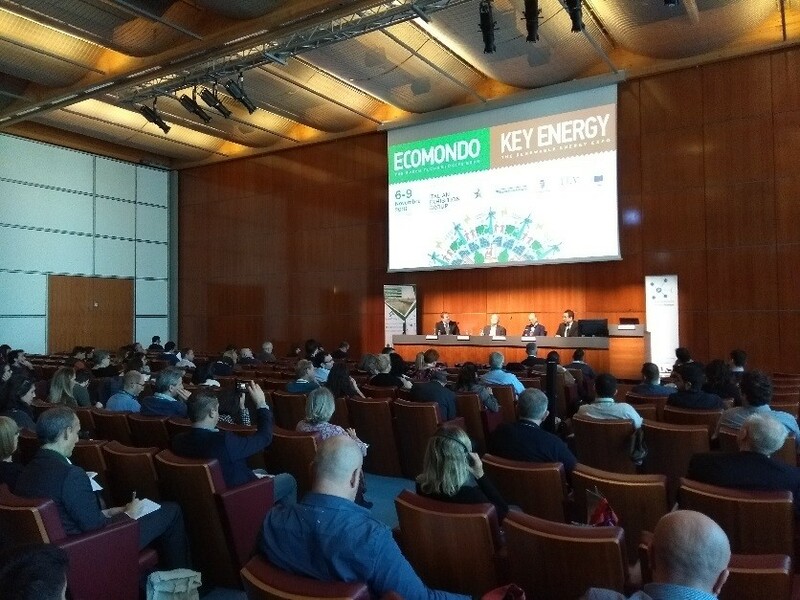 It included presentations by the Italian Ministry of Environment and Protection of Land and Sea, ESPP, European Commission DG RTD, key Italian institutes, EurEau, ISLE Utilities, OSTARA, CNP Cycles, Veolia, Suez, EasyMining, Outotec, Aqualia, Assofertilizzanti, Confagricoltura, ITALPOLLINA, Lombardy Region and CAP Holding. Day 2 was focussed on new nutrient recycling R&D projects, updates on current major projects, nutrient management in Horizon Europe and the potential “Mission on Nutrients”. It included presentations by the European Commission DG RTD and EASME, and R&D project presentations by Horizon2020 funded projects Circular Agronomics, HYDROUSA, INCOVER, PeGaSus, P-Al/Fe-WTR, Run4Life, SABANA, SaltGae, SYSTEMIC, Water2Return; INTERREG funded projects BEST, No_Waste, NuReDrain, SEABASED; LIFE funded projects DOP, MEMORY, Newbies, Trialkyl, Vitisom; amd other funded projects BiofuelcellAPP, HTC, MIND-P, PARFORCE, RAVITA and ViviMag. The full report will be be published soon. The Swiss federal government has published a new ordonnance (in German and French) defining some of the conditions for recovery of phosphorus from sewage and from meat and bone meal (“animal flours and bone powders”), as required by the Ordonnance on Waste Treatment (4/12/2015). The new ordonnance RS916.171 specifies that phosphorus recovery from both sewage and from meat and bone meal must “eliminate pollutants present … according to state of technology” (that is, BAT) and that, if the recovered phosphorus is used for fertilisers, these must respect the criteria for “mineral fertilisers from recycling”. The ordonnance modifies the Swiss fertilisers regulations to define these mineral fertilisers from recycling as those for which “part or all of the nutrients are obtained from municipal waste water treatment, sewage sludge or sewage sludge incineration ash” (note: animal bone meal is not mentioned here). These mineral fertilisers from recycling must be authorised by OFAG (Swiss Federal Offices for Environment and for Agriculture) and must respect certain contaminant limits: (all as mg/kgP): lead 500, cadmium 25, copper 3000, nickel 500, mercury 2, zinc 10000, arsenic 100, chrome (Cr-total) 1000, aromatic hydrocarbons 25, PCB 0.5 and dioxins/furans 120 ngI-TEQ/tonneP. Certain specifications concerning phosphorus recovery under the Swiss legislation thus remain non defined, in particular what percentage of phosphorus must be recovered. A desk study by the International Office for Water (OIE) compares agricultural phosphorus (P) regulation in Denmark, Germany, Italy and The Netherlands, concluding that the regulatory framework is strongly heterogeneous. The study is based on only 12 literature sources and interviews of 3 regulators and 3 researchers (total for the four countries studied). In particular, Fien Amery et al. paper “Agricultural phosphorus legislation in Europe” is not cited – see SCOPE Newsletter n° 104 for summary of this study. 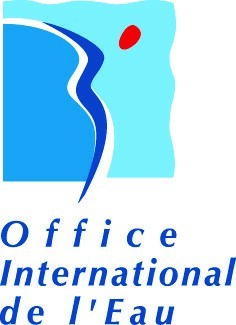 The OIE desktop study underlines (as did already Amery et al.) that there is no European legislation specifically addressing phosphorus in agriculture. In Denmark, the national Nitrates Directive “derogation” (negotiated with Europe) includes from 2017 national ceilings for phosphorus application, covering all forms of fertiliser or organic materials, and covering the whole country, with stricter limits in phosphorus vulnerable catchments. In The Netherlands, phosphorus application is limited within Nitrates Directive implementation, with a table of ‘Application Standards’ limiting P input for different crops. In Germany, the fertiliser application ordinance (DûV Düngeverordnung) obliges farm nutrient balances for P, with P surpluses limited to 10 kgP/ha/year from 2018 or zero if the soil already has high P. If soil P is high, P application must also be aligned to plant uptake. In Italy, on the other hand, the OIE study identifies not regulation limiting agricultural P application, other than some regional or local recommendations to farmers. ESPP participated at the final EID Forum discussion of the BAT BREF revision for the Food Drink and Milk and feed industries (Best Available Technology, under the IED Directive). The document, BAT9 (page 647), specifies that all production sites should use one or more of several possible resource recovery techniques: anaerobic digestion, separation/use/recovery of residues e.g. in animal feed, use of wastewater in agriculture to valorise nutrients and water, struvite recovery. ESPP submitted 18 comments to the final text, of which 16 have been accepted (as submitted, or adjusted). Struvite recovery is now specified as applicable to wastewaters with > 50 mg total-P/l and with a significant flow. Following an ESPP proposal, the BAT9 also now refers to valorisation of digestate (and not only of biogas) from anaerobic digestion. Other modifications brought by ESPP include referring in the process description texts (pages 170-171) to white phosphorus (P4) as well as phosphate rock as EU Critical Raw Materials, to recovery of phosphorus (P) in forms other than struvite and to clarifications of the struvite process description. The BAT document also describes phosphorus removal techniques, necessary for wastewater treatment, including EBPR (enhanced biological phosphorus removal) and chemical phosphorus removal (using calcium, aluminium or iron precipitants) as well as nitrogen (N) removal techniques. Emission levels to water (BAT-AELs, page 649) are fixed at 2-20 mg/l total N and 0.2-4 mg/l total P. A proposal by some Member States and stakeholders to increase the authorised levels of total P emissions to 7 mgP/l for some cheese production sites was not agreed. 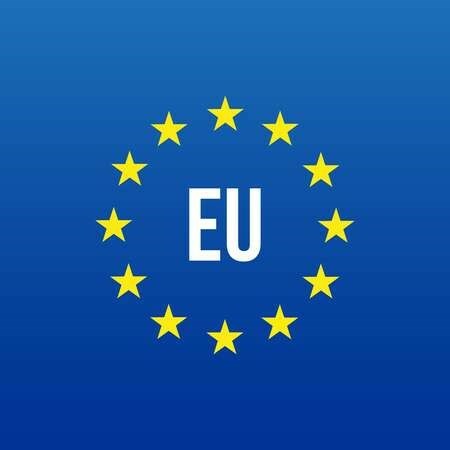 The final draft BAT document, with the agreed modifications, is expected to now be officially published by the European Commission, and will then become applicable to all sites in Europe falling within the defined scope, that is all food, drink, milk or animal feed processing sites with capacity above 200 – 600 tonnes/day input depending on the sector. The European food & beverage industry federation, FoodDrink Europe, has published a summary of experience of European Commission pilot testing of Produce Environmental Footprint Category Rules (PEFCRs) 2013-2017. This falls within the mandate to the Commission in the 2012 Resource Efficiency Roadmap to “establish a common methodological approach to enable Member States and the private sector to assess, display and benchmark the environmental performance of products, services and companies based on a comprehensive assessment of environmental impacts over the life-cycle ('environmental footprint')”. The Commission has announced the objective to start policy discussion, in the framework of Integrated Product Policy / Sustainable Consumption and Production (IPP/SCP), to implement the PEFCR pilot test conclusions into EU policies. Half of the PEF tests carried out concerned food or drink products (beer, coffee, dairy, fish, meat, pasta, olive oil, wine, as well as pet food and animal feed). 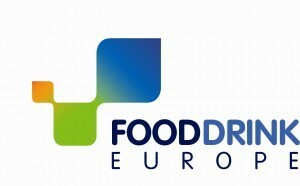 FoodDrink Europe’s report is based on consultation within industry, including participants in the pilot tests. The industry federation’s conclusions underline the need to improve methodology and databases (e.g. harmonised LCAs), concern that PEF is today appropriate for communicating within industry (within company environmental improvement and business to business) but not for consumer communication, issues in defining the ‘benchmark’ for PEF comparisons, need for industry implication in PEF criteria governance, need to define stable PEFCR rules. The European Commission’s own Review Report of the pilot tests (June 2017) concludes that the PEF process is highly technical and complex, has potential to harmonise LCAs, and also notes that the PEFs are perceived as interesting for communication within business and to feed into GPP (Green Public Purchasing) but with questions about the pertinence for communications to consumers. ESPP submitted comments to two EU public consultations on Roadmaps for future evaluations of (1) the second “Environmental Implementation review” and (2) the impacts of EU farm policy on water, both closed on 26th November 2018. ESPP’s input underlined the importance of European Commission compliance enforcement of EU regulation in driving environmental improvement across Europe, for example for municipal wastewater treatment or for the Nitrates Directive, and suggested to widen the environmental implementation review to include pharmaceuticals, microplastics, the Circular Economy and Critical Raw Materials, as well as the Common Agricultural Policy. Concerning the assessment of farm policy on water, ESPP underlined the need to consult stakeholders (such as water basin management organisations), to consider key elements of the new (June 2018) CAP proposals (in particular the FaST = Farm Sustainability Tool for Nutrients) and coherence with CAP impacts on other policy objectives (such as Circular Economy) and impacts on water of Rural Development Funding. 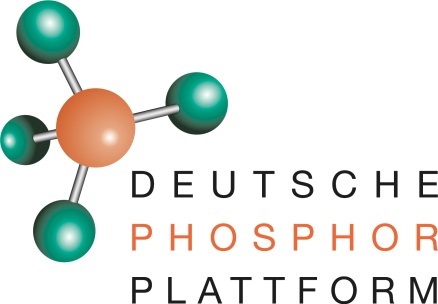 The German Phosphorus Platform (DPP) has published up-to-date and detailed fact sheets (each 2-4 pages) presenting fourteen different technologies for phosphorus recovery from municipal sewage. These outline how the process operates, including inputs required and final product; specify the percentage of phosphorus recovery claimed; indicate the size of tested pilot or operational installations; provide contact details for technology supplier; and in some cases indicate estimated costs and other constraints (personnel, installation) and process advantages. Technologies covered are: struvite precipitation (Ostara Pearl, AirPrex, MSE-Mobile Schlammentwässerungs), EasyMining Ash2Phos, AshDec, EuPhoRe, Budenheim Extraphos, KRN- Mephrec, Parforce, P-bac Fritzmeier (producing iron aluminium phosphate), P-RoC Karlsruhe (calcium silicate hydrate precipitation), Pyreg (biochar), Stuttgart process, TerraNova. 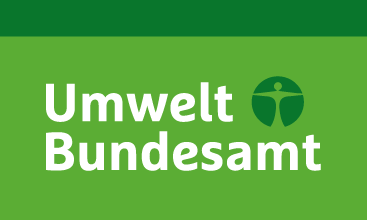 An article in the German waste industry professional magazine ‘Müll und Abfall’ summarises the requirements of the new German phosphorus (P) recycling obligation. Germany produces around 1.8 million tonnes (dry matter) sewage sludge per year. The new regulation will require phosphorus recovery from all sewage works > 50 000 p.e. (after 15 years), that is c. 61% of German sewage. Smaller sewage works can continue to valorise sewage biosolids to farmland, under conditions of sludge quality and spreading specifications. Budenheim’s ExtraPhos process is presented, underlining that it is compatible with both respect of the legal P-recovery obligations and continuing thermal valorisation of the sewage sludge (after P-recovery) in cement production (without requiring sewage sludge mono-incineration installations). Phosphorus recovery will also improve the value of the sludge for the cement kilns, because phosphorus impacts cement setting time and strength, and has to be counteracted by increased lime levels. The ExtraPhos process (see SCOPE Newsletter n°95) uses carbon dioxide (10 bars) to adjust pH to 5 - 6 and dissolve phosphorus, which is then precipitated using lime to produce DCP (di calcium phosphate, fertiliser). A mobile pilot unit (1-2 m3/h) is currently under testing since April 2018 at Itzehoe municipal sewage works, near Hamburg (treating anaerobically digested sludge at a sewage works which uses a combination of chemical and biological phosphorus removal) and has also been tested at Mainz sewage works from May 2017 to March 2018. The article suggests that widespread application of the ExtraPhos process and sewage sludge valorisation in cement production (1 MtDM/y) could economise 10% of cement clinker combustion energy. Ludwig Hermann, ESPP President and Proman, opened the meeting with an overview underlining the criticality of phosphorus (P) as a non-renewable material and the need for a paradigm shift to move away from society’s current economic growth model based on increasing consumption of raw materials. Tiffanie Stefani, Fertilizers Europe, explained that the mineral industry is strongly engaged in the Circular Economy through industrial symbiosis, with use of by-products central to production. She underlined that Fertilizers Europe wants the EU Fertilisers Regulation to be finalised and implemented, to reduce barriers to recycling of nutrients, under the condition that products offer reliably plant available nutrients, quality and safety (low contaminant levels). The European fertiliser industry has experience and competence in recycling and in supporting improved fertiliser use by farmers, and is open to partnerships with waste companies to develop quality nutrient recycling. Chris Thornton, ESPP (European Sustainable Phosphorus Platform), emphasised the importance of EU water protection legislation in pushing towards sustainable phosphorus management (Nitrates Directive, Urban Waste Water Treatment Directive, Water Framework – this latter is currently open to public consultation until 4 March 2019) and of the Common Agricultural Policy (currently in political decision phase). The proposed EU Fertilisers Regulation will also be very important in opening the market for both recycling technologies and recycled nutrient products: but there may be a risk that this is blocked by failure of Parliament and Council to reach agreement in triologue. Javier Branas, Fertiberia, emphasised that Europe is very strongly dependent on imports of nutrients for its fertilisers and food production: natural gas (for nitrogen fertiliser), potassium and phosphorus. The Newfert project www.newfert.org has worked to define the conditions under which biowastes can be recycled within the mineral fertiliser industry: quality (nutrient concentration and availability), safety, stability, availability and logistics, suitability for processing and economic conditions. 50 samples of very different types of biowaste were analysed, showing that <30% were suitable for introduction into mineral fertilisers; in particular nutrients in many ashes are not plant available. Two processes have been developed: DMPHOS (laboratory scale) sulphuric acid dissolution of ashes, neutralisation and filter-press recovery of mono- and di-calcium phosphate; and a biological process to solubilise phosphorus in pig manure (bio-acidification) followed by P-recovery as struvite. Production of complex (NPK) fertilisers has been made successfully with more than 15% of nutrients from bio-waste recycling. Fernando Gonzalez-Andrés, Universidad de Léon, summarised the assessment, carried out as part of the Newfert project, of nine complex (NKP) fertiliser products containing phosphorus derived from secondary nutrient sources produced in industrial testing by Fertiberia. The nine products included up to 30% of phosphorus content from different recycled materials including struvites and materials derived from different ashes. Greenhouse pot trials with barley and maize showed that these secondary-derived products gave plant growth results not significantly different from commercial mineral fertilisers after 90 days (with two soils, pH 5.9 and pH 7.8) In a few cases, there were small significant yield differences after 60 days. There were no significant differences in soil metabolism or soil microbiology. Fertiberia concludes that significant partial substitution of secondary raw materials in their production process does not impact final product agronomic performance. Marie-Line Daumer, IRSTEA Rennes, France, presented of work within Newfert on biological acidification of pig manure to increase phosphorus solubility and so enable phosphorus recovery as struvite. Different local agricultural by-products already used as co-substrates for the anaerobic digestion plants were tested as sources of VFA (volatile fatty acid) for the bio-acidification. This was trialed full scale in a specific reactor with c. 24h residence time in different configurations in the manure anaerobic digestion system treating slurry from a 285 sows pig farm producing 7000 pigs/year, Guernequay, Brittany. Addition of 10% (by mass) of animal feed crop waste enabled to recover 65% of the total phosphorus (of the P in the manure and co-substrates) i.e. nearly twice the pig manure P content as struvite. Biogas production was not changed or was even slightly increased due to acidic hydrolysis of the substrates during the bio-acidification step. The mineral struvite based product was tested and showed to be an interesting secondary raw material technically for fertiliser production by Fertiberia. Ute Bauermeister, GNS Germany, presented the company’s experience operating nitrogen (N) recovery from biogas plants (anaerobic digesters). The FiberPlus BENAS biogas plant, near Bremen, Germany, treats 160 ton/day maize, 75 t/d chicken manure and 50 t/d other crops. An ammonia stripping installation uses specific technologies to avoid the problems caused by foaming (contamination of the gas), viscosity and fibre content, enabling recovery of 200 tN/y of nitrogen as 5% ammonium sulphate, authorised as a fertiliser in Germany and valuable for foliar application (no burning nor crystallisation). Around 40-60% of total plant input N flow is recovered. Ammonium stripping also improves biogas yield and allows recovery of ammonia-free fibres from the solid fraction of the digestate. These have been successfully tested in fibreboard and paper production. Total economic net benefit of the ammonia stripping is estimated at 13€/ton of digestate (at this site). The site is one of the SYSTEMIC demonstration sites. Ana Ruiz, Bio-Based Industries Joint Undertaking BBI-JU (Private Public Partnership within Horizon 2020) underlined that the BBI JU Newfert project has achieved its objectives by contributing to build up a breakthrough concept for the fertiliser industry. NewFert has set out the basis to establish a new bio-based value chain based on nutrient recovery from bio-based waste to manufacture NPK fertilisers. Furthering engagement together of industry and research has been as well part of the achievements of this project. The afternoon was organised in round tables to discuss societal trends relevant to phosphorus recycling, legislative drivers, obstacles and economic aspects. Conclusions are that nutrient recycling will continue in coming years to be driven by regional nutrient surpluses and implementation of regulations limiting nutrient discharge to the environment (water protection policy = eutrophication and limitations of ammonia emissions to air = National Ceilings Directive), by the tendency towards more sustainable farming systems, concerns about criticality of phosphorus. Public confidence in quality and safety of recycled products is essential. The proposed new EU Fertiliser Regulation is seen as important to remove barriers, by clarifying End-of-Waste status. Economics of nutrient recycling can be improved by cooperation (to facilitate upscaling), cross-compliance obligations in EU agriculture funding (CAP) and new financial instruments to cover innovation risks and facilitate long-term recycling contracts. Financial support tools such as “nutrient credits” or “recycling support tariffs” should be tested. In the long term a restructuring of farming and the food industry and distribution, and food prices sufficient to cover environmentally sensitive farming, will be necessary. The LIFE project LIWE (Lidköping Innovation Wastewater Eco-Hub) will test full-scale ozonation to eliminate pharmaceuticals and full-scale phosphorus recovery as struvite at the Ängen municipal waste water treatment plant (61 000 p.e.). The plant will operate biological phosphorus removal and chemical post-precipitation (down to a discharge consent of 0.2 mg P/l yearly average, with an operating target of 0.1 mg P/L) and anaerobic digestion of the sewage sludge (producing 1000 MWh/year of renewable electricity). In order to improve water quality in the receiving waters (river Lidan and lake Vänern) pharmaceuticals will be eliminated by ozonation and micro-plastics will be removed by disk filter. Within sludge treatment the objective is to recover at least 30% of inflow phosphorus as struvite (55 ton struvite/year), which can be used as a phosphorus fertiliser. The struvite precipitation is planned to be installed on a centrate from (i) bio acidification and (ii) anaerobic digestion, after dewatering using a (i) belt thickener and (ii) screw extruder. The sewage biosolids, after anaerobic digestion, are currently planned to be used in agriculture. Fabian Kraus, Kompetenzzentrum Wasser Berlin, led a half-day workshop to discuss Life Cycle Analysis of mineral phosphate fertilisers (based on the German market situation) and of different phosphorus (P) recycling processes: different struvite precipitation systems in sewage works, use of sewage sludge incineration ash in the Ecophos or TetraPhos processes to recover phosphoric acid, use of this ash in the fertiliser industry or thermochemical treatment of this ash in the AshDec processes. This work is carried out within Phorwärts project. Most mineral fertilisers sold in Germany are ‘complex’ fertilisers, with more than half being DAP (di ammonium phosphate). For this product, the phosphate part is a relatively small contributor to energy use and potential greenhouse gas emissions (E/GHG), compared to the nitrogen (N) component. Most production is via phosphoric acid, produced using sulphuric acid. The largest factor in the E/GHG calculation for the phosphate component is the sulphur used to produce sulphuric acid, but the allocation of E/GHG to sulphur must be decided. Sulphur is a by-product from industrial processes, e.g. it must be removed from fuels in oil refineries and in this case must be decided whether or not to allocate part of the refinery energy consumption to sulphur production. Also, energy is produced when sulphur is burnt to produce sulphuric acid: in some circumstances this energy can be valorised in energy production (e.g. OCP El Jadida, see SCOPE Newsletter n°86) so could be counted negatively against fertiliser production E/GHG, but in other cases the energy is consumed in the fertiliser factory for phosphoric acid concentration. The E/GHG conclusions of the LCA for phosphate mineral fertilisers thus depend mainly on the LCA boundary and allocation choices made, and especially on the LCA allocation choices made for sulphur and sulphuric acid. The LCA suggests that, if included in the LCA boundaries, the most significant potential impacts of mineral phosphate fertilisers are in the use phase, with fertiliser use estimated to contribute 19% of total freshwater eutrophication in Germany (applicable to both phosphate rock based and recycled fertilisers) and to contribute 0-12% of total toxicity because of cadmium in mineral phosphate fertilisers (2% based on the average of phosphate rock as currently used in fertilisers in Germany, and assuming no decadmiation, percentage of total toxic substance release due to human activities and natural toxins). Risk assessment suggests that the toxicity risk to human health is however “acceptable”. The levels of uranium present in phosphate fertilisers are less relevant. The LCA study considers two decadmiation technology routes: calcination of phosphate rock, and solvent extraction of phosphoric acid. The additional E/GHG impact of decadmiation of fertilisers would be “moderate” compared to current fertiliser production and negligible compared to total human emissions, whereas the reduction of human toxicity potential would be significant. LCA’s of the considered P recycling routes suggest that struvite recovery is advantageous, in particular because of reductions in sewage sludge production, but this route is only applicable in EBPR (biological phosphorus removal process sewage works). The processes for phosphorus recovery from sewage sludge incineration ash show comparable net E/GHG emissions to mineral fertiliser production. Risk assessment of the considered P recovery routes and also for application of sewage biosolids or sewage sludge ash to crops was carried out. This concluded that environmental or toxicity risks from organic contaminants or pharmaceuticals in sewage biosolids are acceptable or negligible. For soil organisms, only zinc posed possible risks (for both sewage sludge and ash): although zinc is a micro-nutrient it should be managed appropriately. The most sensitive endpoint appeared to be groundwater, with risks for copper and zinc from sewage biosolids and ash, and for cadmium in phosphate-rock based mineral fertilisers. German P recovery legislation and a move to mono-incineration? The German P recovery legislation will in effect mean that (for all sewage works > 50 000 p.e.) P recovery from sewage sludge incineration ash will be required unless P concentrations in sewage sludge are reduced to 20gP/kgDM (dry matter) or by 50%. This dry matter threshold is more difficult to achieve if organic carbon removal is increased in the sewage works, in particular by anaerobic digestion of sludge. Struvite recovery, combined with some sludge digestion process to solubilise phosphorus, may achieve this but is only applicable in biological P removal sewage works (EBPR). Other processes may be developed enabling recovery of sufficient phosphorus from sludge, but if not then Germany will have to invest around 1 billion € in new mono-incineration logistics and incinerators (incineration of sewage sludge on its own, not with lignite, municipal waste or other low phosphorus materials), at a cost of 2 to 4 €/person/year and resulting in a 0.2% increase in Germany’s total energy consumption. Development and demonstration of other processes to recover phosphorus from sewage sludge, including where iron or aluminium salts are used for phosphorus removal, is therefore an important research and technology development objective. The assessment further concludes that 70-90 % of the direct greenhouse gas impacts of mono-incineration (status-quo in Germany: around 150-200 mg N2O/Nm³ or 1 g N2O/kg DM) can be avoided by installation of N2O abatement technologies in the incinerators (example Zurich: around 10 mg N2O/Nm³ or 50 mg N2O/kg DM). A Canada study evaluates greenhouse gas emissions from sewage sludge processing and end use, and provides a tool enabling waste water treatment operators to enter configuration and data from their process to calculate CO2 equivalents/year. The assessment covers thickening and dewatering (polymer use, belt press or centrifuge),storage lagoons, thermal drying, aerobic digestion, anaerobic digestion (assuming use of generated biogas for electricity production), liming, composting, landfill, combustion and land application. For combustion, the model is based on theoretical values of calorific value and water content, and IPCC default values for methane and N2O emissions (see the F. Klaus, Phorwärt study above concerning the significance of these emissions). For land application, N2O emissions are taken to be 1% of applied nitrogen (IPCC default value for mineral fertilisers: a conservative value as literature suggests that emissions are probably lower for biosolids) and offsets for nitrogen and phosphorus content (estimated values of 4 and 2 kgeCO2 for N and P respectively) and for carbon sequestration (increases in soil carbon resulting from sewage biosolids application, based on literature). The assessment concludes that optimised dewatering & incineration results in higher greenhouse emissions than optimised anaerobic digestion & land application (net emissions -34 vs -4 teCO2/100t biosolids dry matter), because of offsets for fertiliser value and carbon sequestration (23 and 25 teCO2 respectively). A report by UBA (the German Federal Environment Agency) summarises challenges and available information (nearly 80 studies cited), and proposes actions, on antibiotics and antibiotic resistance (ABR) in the environment. Routes to the environment considered are: treated wastewater, livestock housing air, sewage sludge and manure/slurry application. The report cites one study suggesting that ABR introduced into soil can remain present for several months (Pietsch 2015), that sewage sludge spreading can lead to ARG (antibiotic resistance genes) in soils which persist over time, and that veterinary antibiotics in manures can reach lower soil levels, accumulate and reach groundwater. Twenty-eight options for action are proposed with, in addition to upstream actions to reduce pharmaceutical use and losses and actions to improve removal at wastewater treatment plants, include banning the use of sewage sludge in agriculture and reducing the use of manure/slurry by “needs-based fertilisation” and nutrient testing of both soil and manure. To unsubscribe: please use the personalised link in the email you received with this eNews, or specify the email(s) to unsubscribe to with email object “UNSUBSCRIBE”.